Sentosa Medical Centre is a modern 8-store hospital with 200 beds, located at No. 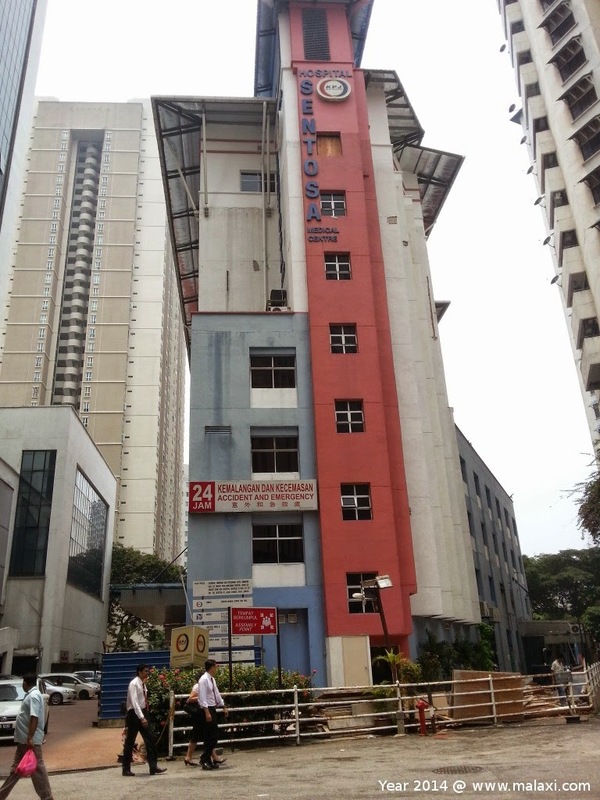 36, Jalan Cemur, Kompleks Damai, 50400 Kuala Lumpur, within vicinity of Hospital Kuala Lumpur and Institute of Medical Research. Basement parking is available for the ease and convenience of our patients and their visitors. In addition, we are just a 5-minute walk away from STAR LRT (Titiwangsa), Monorail (Chow Kit and Titiwangsa) and Pekeliling Bus Station. 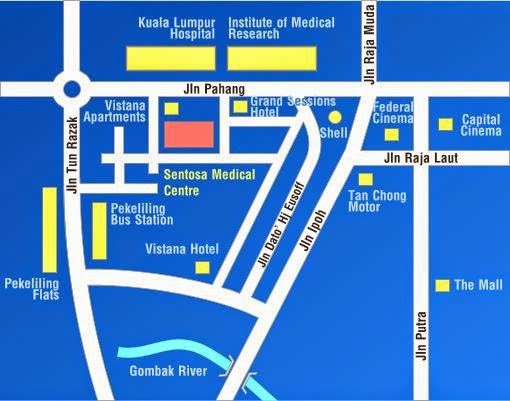 In December 2006, KPJ Healthcare Berhad acquired and took over the management of Sentosa Medical Centre. This strategic acquisition is in line with KPJ's overall objective to ensure that private healthcare is accessible to all via its network of hospitals throughout the country. With more than 30 years of experience, KPJ Healthcare Berhad, the healthcare division of Johor Corporation (JCorp) is a leading healthcare service provider in Malaysia. KPJ's extensive network has gone global, and now includes 22 private specialist hospitals consisting of 20 in Malaysia and 2 in Indonesia. This newly acquired hospital has a history of its own. Sentosa Medical Centre started on 8 May 1852 as a private clinic – Tan Dispensary – at No. 329, Batu Road. Although there was a slight downturn in the economy then due to the end of the Korean War, the practice prospered. Later, we started a Maternity Home above Tan Dispensary and eventually moved to No. 315A, Batu Road, Kuala Lumpur (Foo Chow Association Building). In October 1972, we shifted to No. 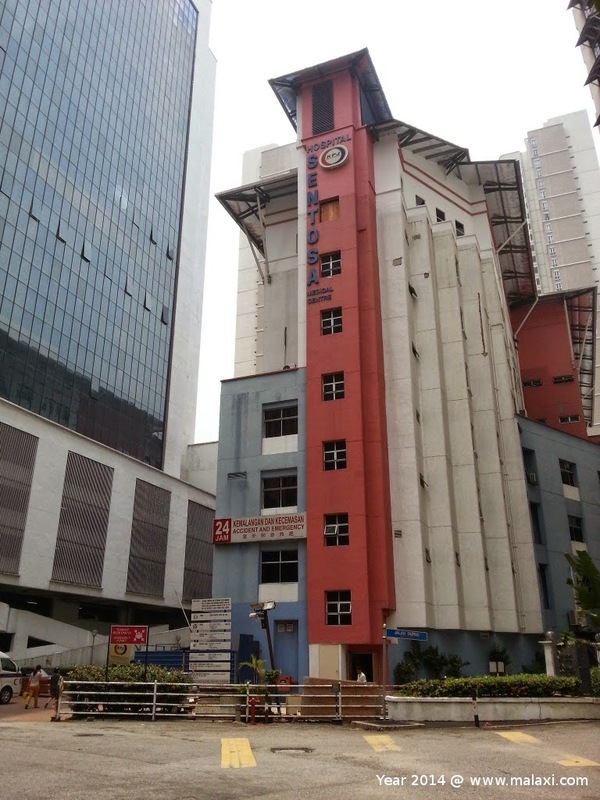 316, Jalan Tuanku Abdul Rahman, Kuala Lumpur, further expansion of our services. The name of the dispensary was changed from Tan Dispensary to Kelinik Sentosa Nursing Home in October 1972 and, subsequently, to Sentosa Medical Centre in October 1979. In order to accommodate the overwhelming response due to increase for the need of medical care, we expanded our services further and moved to this present building on 1 January 1993. Address: Sentosa Medical Center 36 Jalan Cemor, Kompleks Damai,50400 Kuala Lumpur.